Identifying main topics for future research. Contributions to the workshop were expected to have either a strong analytical component (to analyse the relevant processes), or a strong constructive component, i.e. seeking to play a role in co-operation with other stakeholders in the development of sustainable alternatives. 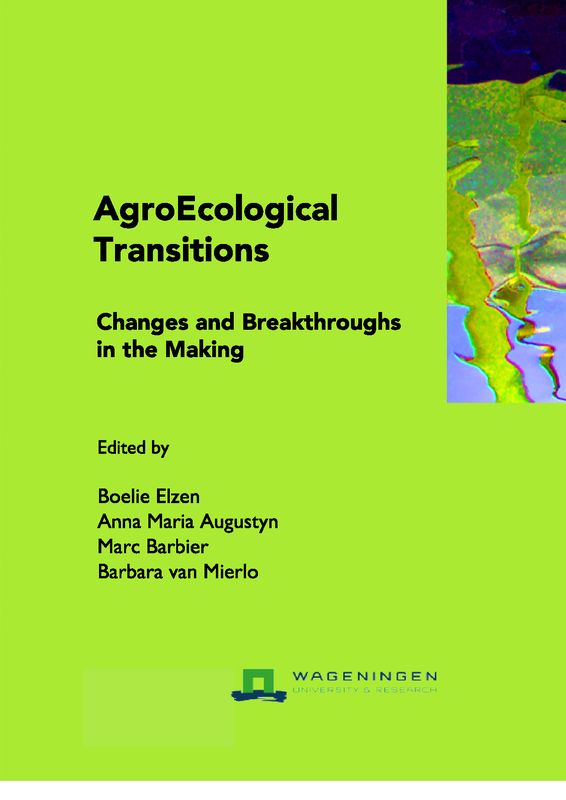 Analyse the ongoing dynamics in agro-food systems, including system innovations, knowledge regimes and design practices. Investigate how government agencies and other actors can position themselves and what they can do to stimulate and influence such system innovations, knowledge regimes and design settings, seeking to make agro-food systems more sustainable. The INRA Science in Society unit organized the second SISA workshop in Paris from 22-23 May 2014 that was hosted by AgroParisTech. Financial support was received from INRA, IFRIS and WUR. A scientific and organizational committee was set up under the coordination of Marc Barbier that was composed of Marc Barbier, Marianne Cerf and Claire Lamine from INRA SAD, Boelie Elzen from Wageningen Research and Barbara van Mierlo from Wageningen University. A call for papers was launched through the scientific networks of the c ommittee members, including agricultural research communities and the STRN. Fifty-five paper proposals were submitted of which eighteen were selected for presentation. The format of the meeting was designed to stimulate in-depth discussions of various issues, rather than having many presentations and only brief discussions. Papers were not presented but were assumed to be read beforehand and to stimulate the interaction, two discussants kicked off the discussion of each paper. All participants played an active role, either as paper authors or discussants or both. Participation in the workshop was by invitation only on the basis of submitted abstracts. The invited participants came from a variety of disciplinary backgrounds such as innovation studies, economics, science & technology studies (including constructive and interactive technology assessment studies), policy studies (including studies of network governance, learning and the impact of regulation), organisation studies (including studies focusing on management of structural change and leadership) and practice based studies. The authors were encouraged to improve their papers on the basis of the discussions at the workshop. After further review (two reviewers per paper), sixteen contributions were considered mature enough to be published in this volume. We wish to thank all participants for their stimulating contributions, their commitment to improve their papers, and their critical comments and suggestions which enhanced the quality of all the papers through the reviewing process. De l’organisation à la prescription: plasticité, apprentissage et expérience. Revisiting Foresight Rationames: What Lessons from the Social sciences and the Humanities? L’évaluation des recherches partenariales: quelle procédure, quels critères?